NLU Delhi Faculty, Dr. Anup Surendranath is appointed as the Deputy Registrar (Research) in the Supreme Court of India. He will now be working in an advisory capacity with the Chief Justice of India on institutionalizing research efforts at the Court and on institutional reforms. The NLU Delhi Website takes pride in announcing Dr. Surendranath’s credentials. He graduated from NALSAR, Hyderabad in 2006 and was awarded the Felix Scholarship in 2007 to read for the BCL at the University of Oxford. 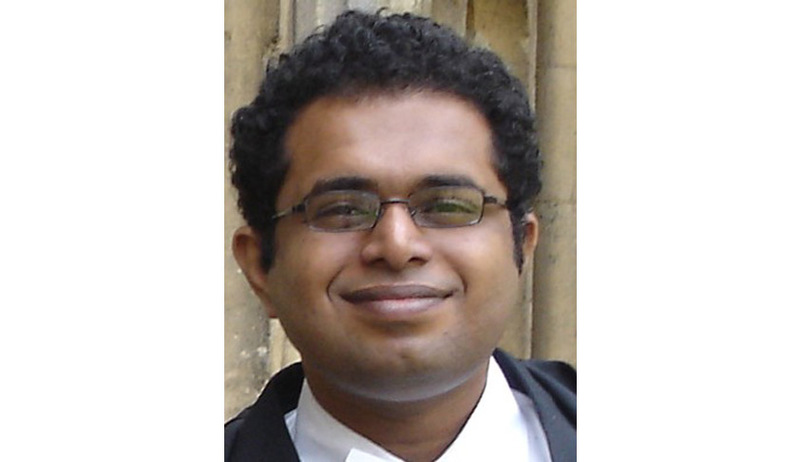 After achieving a Distinction in the BCL examinations in July 2008, he was awarded the Peter Birks Memorial Scholarship by the Faculty of Law, University of Oxford to read for the M.Phil in Law. He was once again awarded the Felix Scholarship in June 2009 for the D.Phil in Law along with the Gregory Kulkes Scholarship in Law from Balliol College, University of Oxford. He is a notable columnist in The Hindu and also writes for the blog, Law and Other Things. At NLU Delhi, he is currently pioneering the Death Penalty Research Project. He added in the announcement that according to the admin section of the Court, the only prior appointment of this sort at the level of Dy Registrar was in the mid-80s when Professor Moolchand Sharma was asked to work with Chief Justice Bhagwati. Dr. Surendranath has certainly devoted his much admired credentials to the development of the field of law in the country and this will definitely be another stepping stone in that direction. We wish him all the very best for this venture and hope to see him contribute in a similar manner, at length in future.